Biological wastewater treatment requires certain criteria to perform at levels necessary to meet today’s stringent effluent guidelines. Because biological treatment is a process dealing with living organisms, it is necessary to provide an environment in which these beneficial bacteria can live and perform. Some systems require the addition of nutrients to sustain proper treatment levels while other systems require supplemental carbon to promote bacterial growth. Coyne Environmental not only supplies these essential products, but also provides the technical support as to how and where to apply them. Chlorination, dechlorination, disinfection, and now chloramination are some of the most critical treatment parameters in today’s wastewater treatment process. Without them, potentially dangerous microorganisms could leave the plant untreated, posing a threat to the environment downstream—while overtreating can be equally as detrimental. Coyne Environmental provides a full product line and works with you to create the optimal, most cost-effective solution for your application. Coagulation is the first major step in the treatment process to achieving a successful treatment program. Optimization of this process is critical to achieving quality effluent criteria from which most standards are based. Coyne Environmental understands that the selection of inorganic coagulants is an individualized process for each treatment facility, and we review your specific treatment objectives, plant parameters, and treatment goals to determine the most appropriate answers to your wastewater treatment challenges. Effluent foaming or excessive foaming in a treatment process is not only a detriment to the discharge quality but also to treatment processes. Often, the application of a defoamer/antifoam is all that is required to eliminate foaming issues. Coyne Environmental helps you consider important treatment variables such as pH, temperature, agitation, and application point, and assists you in selecting the most appropriate products from our full line of treatment options. A critical element in determining the proper products in Flocculation and Solids Separation is reviewing the entire waste treatment process as a whole and understanding how one segment impacts another. Coyne’s Chemical Applications Specialists have experience in all aspects of wastewater treatment and are better versed to assist you in determining the best option to reach your treatment goal. Plus, with the world’s largest manufacturer of solids separation technology as our supplier, we have the resources to find the most cost-effective product with outstanding performance. The reduction and removal of heavy metals from waste process flows historically has relied on technologies that utilize hazardous chemicals. While some of these chemistries continue to be used today, there are many new options available that are less toxic to the environment and also provide optimal treatment. Often, to achieve the lower limits of today’s effluent criteria, combinations of several treatment processes are required. Having all of these technologies available makes Coyne Environmental a valuable partner in determining the most cost-effective treatment program for your requirements. Environmental offers a diverse odor control product line and is prepared to evaluate your specific issues and provide the most cost effective products to meet your needs. Most biological processes require neutral pH levels for optimal biological activity. Other processes need neutral pH levels to enhance coagulation processes. And still others, such as denitrification, require a proportionate amount of residual alkalinity to perform properly. Because each treatment facility and each wastewater has individual needs, Coyne Environmental works with you to carefully define your pH and alkalinity requirements and then assists you in selecting the most appropriate products for your facility. optimal results. With one of the largest selections of products available, Coyne Environmental is poised to provide you with the most cost-effective solution to your treatment needs. Today’s wastewater treatment facilities are an assortment of complex equipment and processes that require continual monitoring and maintenance. Having a selection of products to assist in these tasks makes that job easier and keeps your facility in peak operating conditions. In addition, aesthetics are sometimes as important as meeting effluent criteria. A plant that is clean and orderly most often is managed the same way—producing better treatment results. 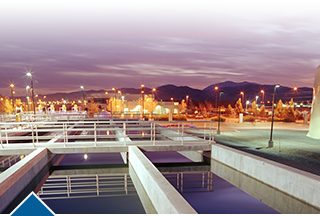 Coyne Environmental offers a wide range of products to assist in the operation and maintenance of wastewater treatment facilities. For more information on specific products or which products would perform best in your application, please feel free to contact your Coyne Environmental Applications Specialist at: 215-785-3000.